The sweet, succulent grape. It’s a fruit that has found its way into cultures around the world. Its cultivation goes all the way back to the Neolithic era (6,000-6500 BCE). Over the next centuries its production spread from the Caucasians to Asia Minor and to the Nile Delta through the Fertile Crescent. It became an important product for consumption, sale and trade in ancient times, as evidenced by the Code of Hammurabi (c. 1700 BCE), which decreed how wine was to be sold in Mesopotamia. (Interestingly, women were allowed to own property and sell wine, so much of the code refers to female vendors.) The Greeks, Phoenicians and Romans extolled the glories of the grape in action, song and verse throughout the known world. By the fall of the Roman Empire the grape was firmly entrenched and the rise of the Christian church allowed a new stream of wine production through thousands of monasteries. As the centuries unfolded wine became a mainstay for cultural and religious reasons and as well in places and times where potable water was absent. Today wine production is a worldwide industry with oenophiles and simple indulgers offered a vast array of tastes, aromas and textures. 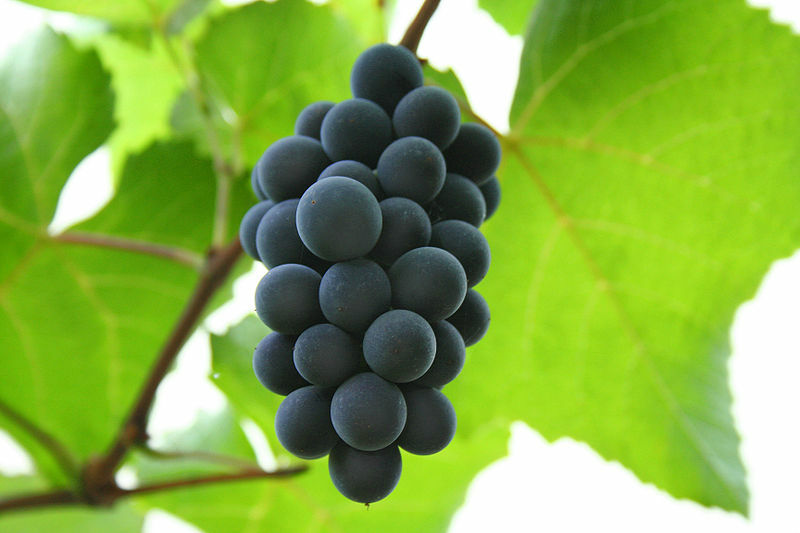 Moreover, according to the Mediterranean Diet, the grape, particularly as distilled in wine, provides various health benefits, particularly through resveratrol, which is a compound that provides antioxidant and anti-inflammatory benefits. Some, in fact, tout its heart-healthy properties as natural life extenders. So we see that civilization certainly has a grape-soaked history, one that continues in the $257 billion (2011) worldwide wine industry today. César Chávez at a United Farmworkers rally, 1974. 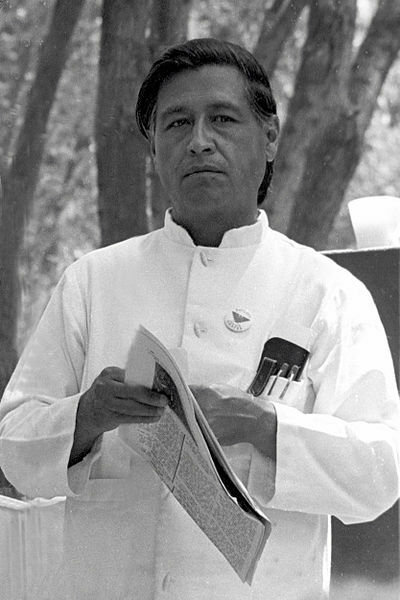 Image courtesy of http://commons.wikimedia.org/wiki/File:Cesar_chavez_crop2.jpg. The road to social justice for the farm worker is the road of unionization. Our cause, our strike against table grapes and our international boycott are all founded upon our deep conviction that the form of collective self-help, which is unionization, holds far more hope for the farm worker…. This conviction is what brings spirit, high hope and optimism to everything we do. Chavez’s and his followers are credited with many of the reforms among farmworkers and workers in other industries that we see today. But let’s get back to why we are actually talking about the grape this New Year’s Eve—as a symbol of good luck. In the Spanish culture, the “Las doce uvas de la suerte,” or Twelve Grapes of Luck tradition is thought to date back to the late 19th century in Madrid, Spain. It began at the east-facing 15th century Puerta del Sol or “Gate of the Sun,” located on a square that is the nexus of all major roads in Spain. The square also boasts the beautiful Post building with its signature clock tower. Tradition has it that as the final bells are tolling from the clock tower on New Year’s Eve, a grape is eaten to signify good luck for each of the 12 months of the upcoming year. While the origins of this ritual range from pushing the sale of a bumper crop of grapes to a takedown by Spanish aristocrats of their French counterparts’ grape-infused New Year, the Twelve Grapes of Luck took root. Today, grapes in Spain are grown specifically for this holiday with strict guidelines for their production, and the tradition has reached countries throughout the Spanish-speaking world. To share in our own version of Twelve Grapes of Luck, we give you a refreshing and sweet grape salad. Make each serving with twelve grapes if you choose (although this is so delicious you may have to have twelve servings to satisfy yourself). Whatever combination you select to ring in the New Year, may the twelve months ahead be succulently lucky! To see what other foods bring luck in the New Year, go to our blog Ring in the New Year With a Lucky Foods Repast. Place pecans in a skillet over medium-low heat; cook and stir until pecans are toasted and fragrant, 3 to 5 minutes. 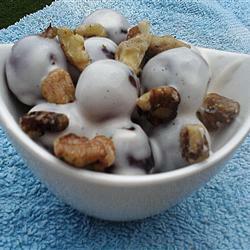 Remove from heat and pour into a heatproof bowl; stir to prevent nuts from overcooking. Beat sugar, cream cheese, and vanilla extract together with an electric mixer in a bowl until smooth. Fold in pecans and grapes. Stir gently until grapes are coated. Spain’s Most Famous New Year’s Tradition – don Quijote’s Spanish Blog. (n.d.). Retrieved December 31, 2014. This entry was posted in Blog, Bon Appetit Wednesday, Culinary, Culture, Human Rights, Public Life and tagged ancient food, ancient recipes, AntiquityNOW, Bon Appetit Wednesday, Cesar Chavez, Code of Hammurabi, grapes for new year, history of grapes, National Farm Workers Association. Bookmark the permalink.